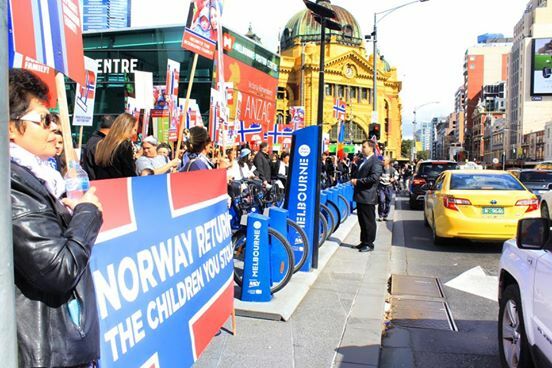 Melbourne, Australia had 300 protesters of Norway’s “Child Protective Services” on April 16th, 2016. 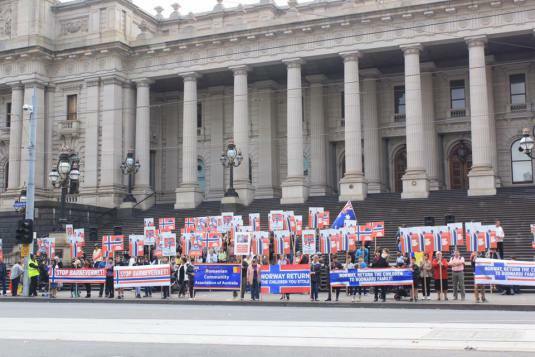 Thus, Australia had a total of approximately 1,000 people attend in the three cities where people congregated. Five cities down and 66 more to go. This entry was posted on Monday, May 9th, 2016 at 9:10 PM and is filed under Commentary, Education, Love of God, News. You can follow any responses to this entry through the RSS 2.0 feed. You can leave a response, or trackback from your own site.